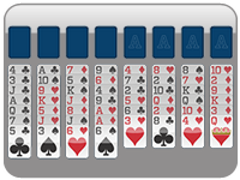 Two freecells is a spin on the basic freecell game. 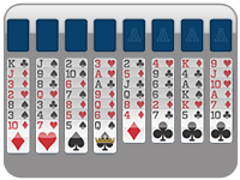 It offers the player 2 free cells, though, instead of four in classic freecell. This makes it much harder to win. 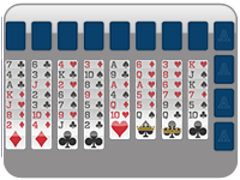 Two Freecells still has a random deal, but your win rate is reduced to about seventy eight percent with this variation on the game, versus over ninety nine percent with Freecell. No worries, though! 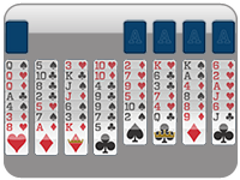 You are already a winner playing on 123 Freecell! 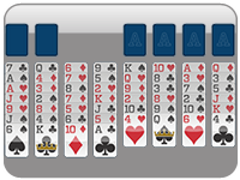 And you're certainly a Freecell master by now if you're trying out new and exciting freecell games, so we have no doubt in your ability to win this and move on to trying One Freecell! 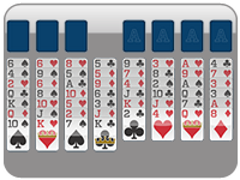 Play two freecell just like you would play basic freecell. 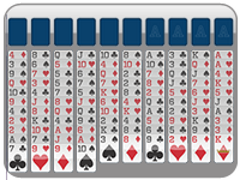 Try this exciting freecell variation from 123 Freecell today!